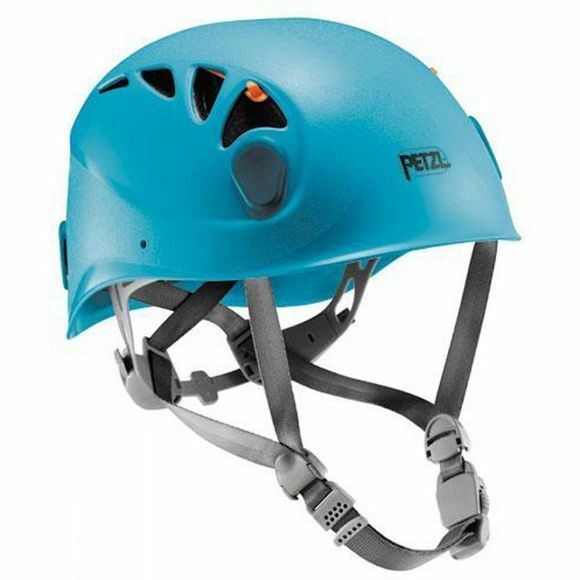 The Petzl Elios Helmet is durable and offers efficient protection against impact with its ABS shell and polystyrene foam liner. It is entirely adjustable and adapts to all head shapes. The sliding ventilation slots allow the user to open or close them depending on conditions. It is very versatile, and adapts to climbing, mountaineering, caving, via ferrata, canyoning, etc.